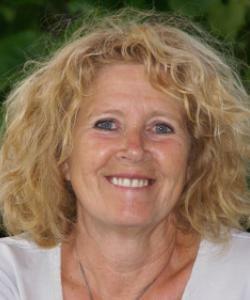 Anneke Durlinger-van der Horst is head of the experienced institute: Tjoys training, coaching & consulting. Anneke Durlinger-van der Horst is IN & ICI Ambassador of Netherlands. I have been involved in NLP since 1987. Since 1995 I have worked as a NLP trainer with the IEP institute in Nijmegen Netherlands. I am an author on two books: > Voorbij je eigen wijze (co-author) on metaprograms, also translated in English and available as an e-book: Mastering communication. Also translated in Traditional Mandarin by Ming Chen Lai as an initiative by Annie Chong, EMR academy in Malaysia. > Handboek voor trainers; a manual for trainers. (Dutch) and currently working on: > How to orchestrate a group into a symphony. Typically: With my head in the clouds (dreaming), my hand on my heart (connecting) and my feet on the ground (practical and pragmatic). My mission: From the perspective of the humming bird, that with little drops of water out of his beak contributes of extinguishing the fire in the tropical forest: I do my share. From the heart of the person, who (even if it seems impossible considering the many starfishes on the beach) gently brings the starfish to the water: Making a difference for this starfish. From my core question: How can I improve myself in benefit of the world. How can I contribute to ecological sound developments in the world, how ever small (in terms of the world) of however big (in terms of the person). The foundation from where I work: I regard NLP as ‘inner human resource management’. Naturally comes my trust in qualities and the potential of people. I have adopted the NLP presuppositions as my personal beliefs. I also work from: > the presupposition the problems only occur if you have the resources to solve them. (Bach: Illusions) > the idea: 'taking care of the whole, by attending to the smallest detail' > the positive intent, the sense behind occurrings/happenings as enrichment for your personal life > ecological sound solutions. > the best result in a group you get when every individual does what's best for him/herself and for the group (John Nash) Experience is the ultimate teacher. I have actively attended to numerous workshops since 1987 with many NLP-trainers: Yoka Brouwer, Richard Bolstadt, Michael Caulgrass, Judith Delozier, Lucas Derks, Robert Dilts, Gene Early, John Grinder, Michael Grinder, David Gordon, Stephen Gilligan, Lee Glickstein, Tim Hallbom, Bert Hellinger, Jaap Hollander, Inge Land, Janet Konefall, James Lawly, Robert McDonald, Anneke Meijer, Suzi Smith, Penny Tompkins, Lutz Wezel, Barbara Whitney, Andy Austin, Grant Sooslu. I am grateful for the many cross-pollinations.